This is my entertainment today, as I finish end of year things and start thinking about next year. Kendra, fifteen, hasn't felt safe since she began to recall devastating memories of childhood sexual abuse, especially because she still can't remember the most important detail – her abuser's identity. Frightened, Kendra believes someone is always watching and following her, leaving menacing messages only she understands. If she lets her guard down even for a minute, it could cost Kendra her life. To relieve the pressure, Kendra cuts; aside from her brilliantly expressive artwork, it's her only way of coping. Since her own mother is too self-absorbed to hear her cries for help, Kendra finds support in others instead: from her therapist and her art teacher, from Sandy, the close family friend who encourages her artwork, and from Meghan, the classmate who's becoming a friend and maybe more. But the truth about Kendra's abuse is just waiting to explode, with startling unforeseen consequences. SCARS is the unforgettable story of one girl's frightening path to the truth. She is tough, scared, vulnerable, unyielding. She's caught in the middle of trying to figure out who she is (which is a heck of a trial at 15 by itself) while attempting to overcome devastation. Memories of abuse that have suddenly sprung back to forefront of her mind. It doesn't get any easier. She just can't catch a break. She feels she's being followed, watched, because she may reveal his identity. It's so.....far-fetched...that even her therapist isn't sure she believes that bit. She also is trying to find her way as a lesbian teen....it just seems like all the cards are stacked against her. I've talked with other teachers and school people about how some of our kids are living experiences and situations that we'd never be able to imagine, in our wildest dreams. Kendra is the shining example of this. Her story, told from someone who understands, so very well, is powerful. Scars, is an important book. 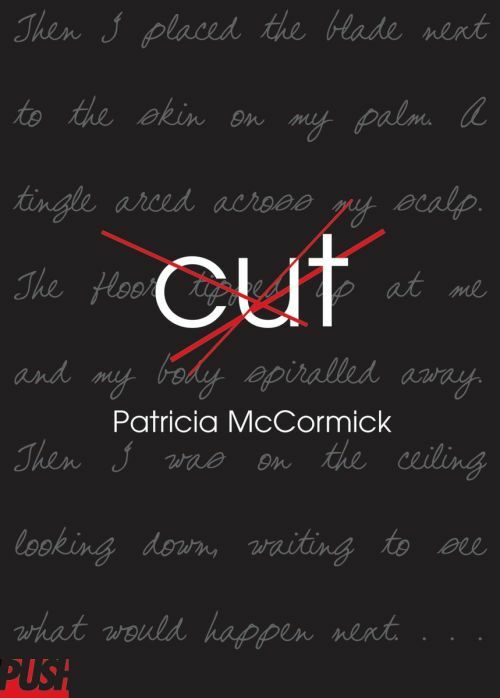 I kept thinking about Patricia McCormick's Cut, because of the subject matter. McCormick's book is so very well done and is probably the first "mainstream" book about someone who cuts themselves to ease the pain. I love McCormick's book, but Scars is so much more, simply because the author, Cheryl Rainfield, has lived a life with some chilling similarities. How similar? The arms on the cover are the author's. A fabulous romance with a very unexpected guy . . . The opportunity to explore her love of cooking . . The freedom to be whoever she wants . . . This is what seventeen-year-old Em gets when she goes to spend a month at her aunt's island resort. It's a dream come true—and exactly the break Em needed from her strict family and their high expectations of her. Oh an Em should have these things! Every girl should! She's free for the first time in her life and lives up every minute of it. I found myself wishing I'd had an Aunt Tilly and could have spent a month in a quiet beach town playing in the kitchen and loving life! It's a great little YA romance. It's not too heavy, but just intriguing enough to keep a reader hooked. It's a "girl book," but that's ok...us girls need those sometimes. *grin* Em's interesting, the guy is obviously hot, and the descriptions of the food made me dig out a cookbook. Escape for a little bit.. Since part of the story is about living out your own dreams, I asked Shannon what her "someday" dreams are. 50 Brain Facts Every Educator Should Know. Some of these are just trivia kind of things. Some are pretty interesting, and might need to be kept in mind. Enter up to 3 universities you’re considering, and it will supply for each the sticker price for first year, average grants and scholarships, total borrowing, estimated debt after school, and comparative debt burden. “Travel costs from real people.” Plan and track travel spending here, using the site’s tools. Enter a city’s name and get a wealth of information including average daily costs and user submitted tips. Type a title/author and come up with a list of suggested titles. Interesting info-graphic about the differences between kids in 1982 and in 2012. Pretty neat. The stats toward the middle/bottom are most interesting in terms of education. Brothers Jeremy (age 10) and Reggie (age 14) are expert gamers. 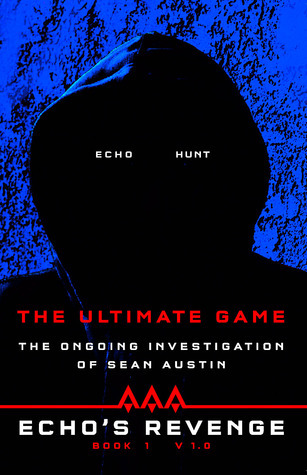 After a run-in with their mother's explosive boyfriend, they run away from home only to discover that Echo-7, a new and indestructible game predator, has developed the ability to reverse the rules of its own video game and hunt them down- in the real world. Ultimately, when Reggie battles ECHO-7 one-on-one, he must win the toughestgame of his life, but will it be enough to free him and his brother? Welllllll.....this is WAY outside my usual read. I'm not a "gamer" (though I do like video games) and I don't tend to ever read anything remotely related. And, to be honest, if I hadn't been asked specifically to review this, I probably wouldn't. That being said....I liked Jeremy and Reggie's story. It's interesting, fun, and there's just enough action and craziness to appeal to the younger boy set, and even some of the girls who are gamers. This one doesn't really fit in my high school library, but it would work well in junior high.